2017 Year End President’s Report – Happy Holidays! 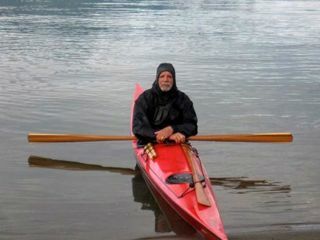 It is always good to know with an association like Paddle Canada that if you miss a meeting life does go on. I say this with confidence because that is what I have for the entire Board of Directors and Paddle Canada’s Executive Director – confidence. This bodes well for our future as Canada’s leading and nationally recognized recreational paddle sport organization. Although there is currently lots going on and lots on the table to deal with in the near future, there is time at the start of the new year to speak to all those. At this time of year I believe it is more important to send out a few thank you’s. So thank you to all our volunteer committee members and Chairs. The background work all of you do is so important and so helpful to Paddle Canada overall. Without your personal time and commitment there would be little chance of our great organization being able to cover so much ground each year. Thank you to the members of Paddle Canada’s Board of Directors – also 100% volunteers. You are Paddle Canada’s “rudder” and I know from personal experience and insight that each and every one of you take this steerage very seriously. Each of you is passionate about this organization and only wanting to do right by it and see it continue to be as successful as it is. It is my pleasure as President to serve with each and every one of you. It is from you that some of the best ideas arise, discussion takes place and direction is put in place. Thanks. To the Paddle Canada staff – simply awesome. Under the leadership of our Executive Director, Graham Ketcheson, all of you do such a great job not only in your own roles but also as support for each other in the office. I have heard so many great comments about how useful, informative, patient and knowledgeable each of you are in your contacts with our membership, partners and sponsors. Thank you for doing your jobs so well and providing the great customer service which you continue to give. Lastly, thank you to all our members for their continuing support of the Paddle Canada ideal. You are and always have been the backbone and support structure which enables us to continue developing new programs, re-defining continuing programs and helping to ensure both safety and fun on the water for all Canadians and international visitors. We look forward to continuing to provide you with our services, our guidance and our knowledge. Even more importantly is knowing that more and more of you are have some great times paddling on Canada’s river, lake and ocean playgrounds. Thank you. I wish everyone safe and happy journeys both paddling and otherwise. May your paddle move you forward insync with nature.